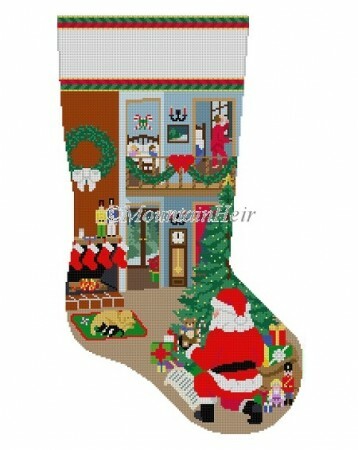 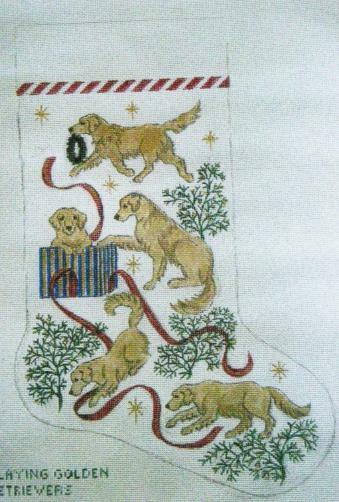 Needlepoint Christmas Stockings - Room to add a name. 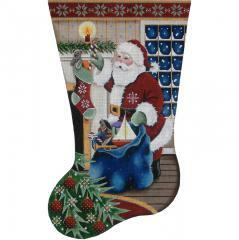 Most stockings can be ordered with toe pointing right or left! 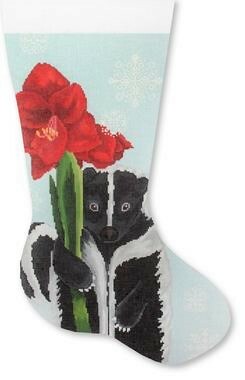 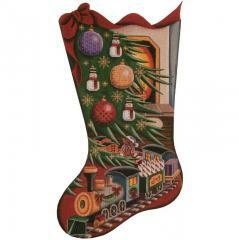 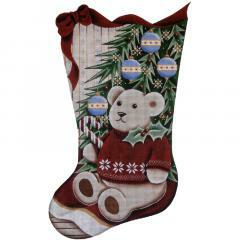 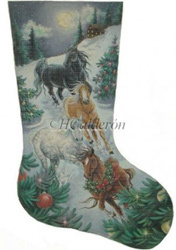 Your needlepoint Christmas stocking will be an heirloom enjoyed for generations. 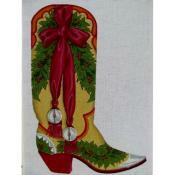 Custom needlepoint canvases are available. 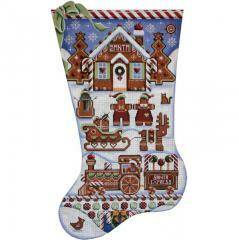 You can easily add a name to the top of your needlepoint stocking. 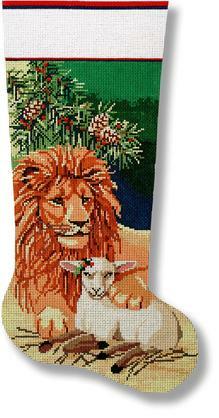 We are constantly updating our selection of needlepoint stocking canvases, so check back frequently to see our newest offerings! 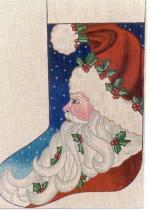 Prices are for kits; shipping is free on orders over $100! 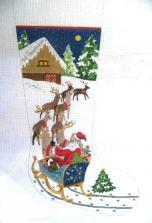 NEEDLEPOINT ARTIST: Magic Needle Inc.
7339 Santa w/Baby Forest An. 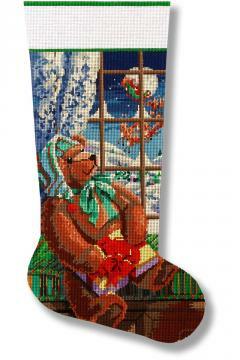 NEEDLEPOINT ARTIST: Alice Peterson Co. 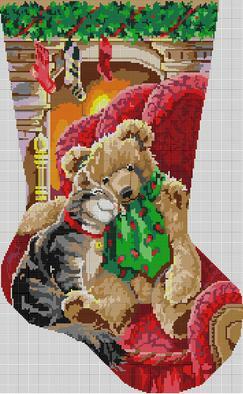 This canvas is available in Mono 13 or Mono 18 (which is the smaller hole size.) 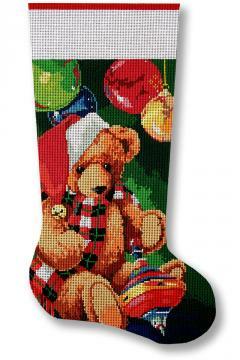 Choose your mesh preference from the drop down box below. 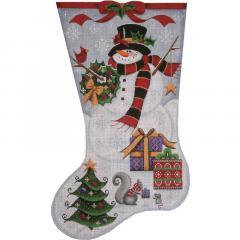 Also, don't forget our Web price includes threads, so choose your threads or receive a discount for the no thread option.